Fit for a queen, the women's Maya emboidery sleeveless top is named after Queen Maya, the mother of Gautama Buddha, founder of Buddhism. The delicate hand embroidered pattern is inspired by local woven textiles made in Nepal. 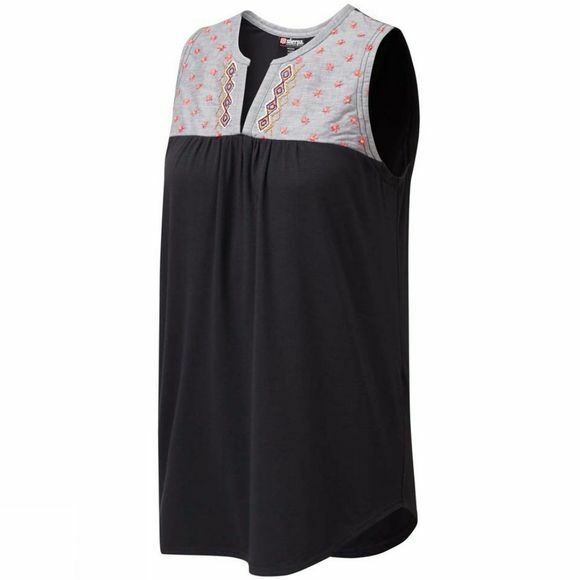 The soft, drapey fabric made from a blend of cotton and modal feels nice on the skin. Plus, it’s UPF rated 50+, shielding you from the sun and easy to care for. For a refined look on-the-go.